Lawyers are waiting for the launch of a short message service (SMS) notification system for summoning parties to court hearings from March 1, provided by the Unified Judicial Information and Telecommunications System (UJITS). 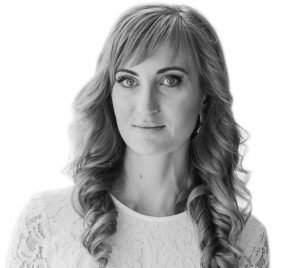 Yulia Stusova, a senior lawyer at the Evris law firm, and Andiy Hradov, a junior lawyer at the same firm, told the Kyiv-based Interfax-Ukraine agency that new versions of procedural codes, which entered into force in December 2017, contain, among other things, provisions for changing the procedure for notifying participants in a lawsuit. The main novelty of the notification system for participants in the judicial process is the gradual introduction of the UJITS, through which participants in the case and the court will be able to carry out electronic exchange of procedural documents. In addition, the court will be able to send parties orders to open proceedings and summon parties to the court session. The lawyers said in criminal and civil proceedings, alerts to participants about court sessions will be sent via the short message service provided by mobile operators, which was first introduced in 2013. The SMS notification system will be ensured via a fixed message or summons. To use SMS alerts, there should be a written statement from a participant in the case and the court should be technically capable of handling such a notification system. “In practice, the courts have for a long time informed the participants of the case about the court hearings by e-mail, sending decisions and summons to the addresses indicated in the documents submitted by the parties (statements of claim, comments, etc.) simultaneously with the sending of such documents by means of postal communication. Changes introduced by the new editions of the procedural codes contributed to the relevant practice,” Stusova and Hradov said. The lawyers said existing procedural codes provide that the statement of claim and the response to the claim must necessarily contain information on the numbers of means of communication, official electronic addresses and email addresses of the parties and other participants in the case. Moreover, if such information is not specified, it becomes the reason for leaving these claims without action. “Based on our own experience, we can say that receiving email notifications about court hearings is very convenient and saves time, which is usually spent on obtaining relevant information in court, including by telephone,” the lawyers said. As earlier reported, the UJITS will begin operating on March 1, 2019 and will consist of the following modules: the single contact center of the judicial authority of Ukraine (its toll-free number is 0-800-501-492), a single subsystem for managing financial and business processes, the official electronic address (Electronic Cabinet), the official web portal “Judicial Power of Ukraine” (court.gov.ua), the State Register of Court Decisions, the Electronic Court subsystem, the Automated Distribution, and the Judicial Statistics module. The UJITS was launched in the trial mode on January 1, 2019. The State Agency for Energy Efficiency and Energy Saving of Ukraine seeks to launch the “green” bonds market in Ukraine in two years to attract financing to energy efficiency projects, Agency Head Serhiy Savchuk has said. “Today, the market of green bonds is developing rapidly in the world. Ukraine lacks the legislation. There is “appetite” of Ukrainian and foreign investors to buy bonds. 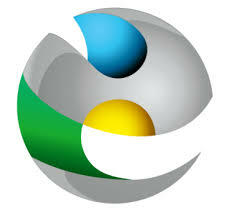 The main thing is that the principles and procedures of the “green” bonds market comply with international standards. We will implement them in our legislation. We will start the development of the “green” bond market. I think it will take two years,” Savchuk said at a press conference on Thursday. According to him, the relevant changes are contained in the bill on the capital market and regulated markets, developed by the agency in cooperation with the National Commission for Securities and the Stock Market. Savchuk recalled that the “green” bonds are a debt financial instrument, the proceeds from the sale of which are used to finance “green” projects. According to the head of the energy efficiency agency, “green” bonds can be issued by corporations, international banks, the state or municipalities. 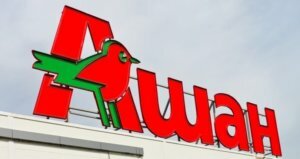 Auchan Retail Ukraine, part of French-based Auchan Holding, in April 2018 will open the first store in the “superstore” format (supermarket) under the name Auchan Zoriany with an area of 3,500 square meters in the Dafi shopping center, the press service of Auchan has told Interfax-Ukraine. “We position this store as a “superstore,” a supermarket where, in addition to practical goods and everyday purchases, you can find products for pleasure, gastronomic specialties, our exclusive brands … “Proximity” is also one of the directions we plan to develop in Ukraine. The concept and location are now under consideration and development,” the press service noted. According to its data, the focus in the new supermarket will be made on food and own production. In addition, the infrastructure of the facility will include a cafe. In general, Auchan plans in 2018 to open several outlets in the “supermarket” format in Kyiv. In addition, the French retailer plans to actively develop exclusive brands, which are represented only in the Auchan network, namely Cosmia (cosmetics), In Extenso (textiles), Actuel (household goods), and Qilive (electronics).